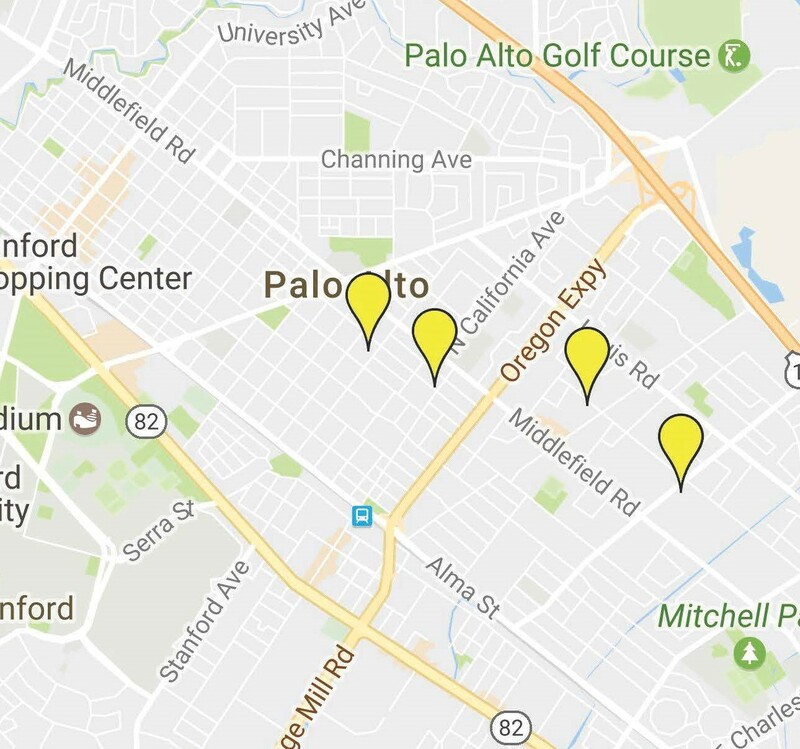 Palo Alto’s new dewatering policy takes effect on May 4, 2017. The stated goal for this new policy is to minimize the discharge of groundwater from construction dewatering; it applies to projects that do not have their building permits as of May 4th. Application forms and information for applicants and contractors are available in the section titled “Construction Dewatering Plan Guidelines” on the City’s website. You can see the City’s map of pending dewatering sites for 2017 here. The new dewatering policy is summarized below. Save Palo Alto’s Groundwater will have a table at this year’s “Earth Day and Great Race to Save Water” at the Palo Alto Baylands Athletic Center on Saturday, April 22nd, 9 am – 3 pm. We’ve joined this event because we’re very committed to saving water and want to encourage neighbors who are building basements to think of the environment and use local area dewatering instead of broad area dewatering in areas where the water table is high. This event is also registered as a satellite March for Science event. In addition to a 5K run/walk there will be activities such as art, live music, prizes, zoo animals, bike tours, bird walks, and food – we’ll have some fun in the sun while doing something positive for the environment. You can find out more information about this event at the City’s website or check out the new promotional video being displayed on the digital wall in Palo Alto’s City Hall. Please join us on April 22nd for a fun and educational event. On Monday, March 20th, 2017 the City Council will discuss and give direction to Staff regarding the organization of the Comprehensive Plan. This discussion is wide-ranging and is scheduled from 7 to 10 pm. We encourage you to attend the March 20th City Council meeting at 7 pm to urge the City Council to respect eight years of work by numerous individuals including the current Citizens’ Advisory Committee (CAC). The City Council should re-think their Jan. 30th decision to “gut” the Comprehensive Plan by separating Programs from Policies. In many cases, the Policies without the Programs are too vague to be meaningful. Save Palo Alto’s Groundwater members and supporters attended various CAC meetings and provided input on the value of groundwater and soils, their importance on mitigating floods and droughts, groundwater and climate change and safety issues regarding dewatering and construction in areas with high water tables. The CAC, Staff and consultants listened and incorporated some of our input into Palo Alto’s draft Comprehensive Plan. All this input is lost and the Policies greatly weakened when we have the Programs that would support the Policies relegated to at-will appendices. If you can’t attend, please email the City Council, city.council@cityofpaloalto.org, and let them know their decision, without discussion on Jan. 30th broke the community’s trust by not valuing the time and effort of the former and current members of the Citizens’ Advisory Committee, Staff and consultants plus the input of many residents, including Save Palo Alto’s Groundwater. First, thank you to the nearly 100 supporters who came to City Hall on March 7th and to all those who wrote letters of support. Not a single person spoke in opposition to our proposals, including three persons from the construction industry, thereby demonstrating strong community support for our position. The Palo Alto City Council unanimously passed a motion to implement enhancements to the 2016 Dewatering Guidelines. These will take effect for the 2017 dewatering season, with an exclusion for those properties that have already received their building permits. Special thanks to Councilwomen Lydia Kou and Karen Holman who proposed an amendment, which passed, to significantly reduce grandfathering by requiring projects that have preliminary conditions of approval but have not yet received building permits be included in the 2017 enhancements. There is still work to do for 2018. The current regulations help, but are still far from requiring no discharge of groundwater to the storm drains while avoiding increases in flood risks. Read more for the details of Council actions and our comments.